Despite warning a couple years ago that I have less time for blogging than ever before, and that I may stop as I now have so many alternative outlets for sharing my ideas, I have generally managed to post fairly regularly here, even if less often than I used to. The one major exception was this summer, when I failed to post anything here from July to September. I was actually doing a lot of research and writing at that time, but none of it made its appearance on this blog. Now that I have started blogging a bit again, I figure I ought to update folks on what happened over the summer. 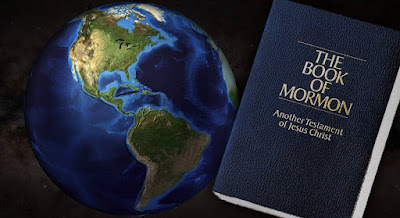 First, toward the middle or end of June, Loyd Ericson of Greg Kofford Books reached out to me and asked if I would write an essay for their book Perspectives on Mormon Theology: Apologetics. The catch? The book was coming out in about a month, so he needed my essay in about 2 weeks. Although I already had 2 other papers I was working on (see below), I decided to go for it. The outcome was my paper, “Boundary Maintenance that Pushes the Boundaries: Scriptural and Theological Insights from Apologetics,” published in the afore mentioned volume on July 25. In this paper, I discuss ways apologetics—typically a form of boundary maintenance—has actually led to new and fresh theological perspectives within Mormonism—and thus, pushed the boundaries. Although I cranked this paper out quickly, I consider it some of my best work. Not that it’s a landmark contribution to the field or anything, but in terms of writing quality. There are parts that I wish I could have had more time to fiddle with, but overall the urgency to get it written in a short amount of time really helped me focus and get into a groove with my writing. If you are interested in reading this paper, copies of the book can be purchased at the Kofford Books website, or on Amazon. 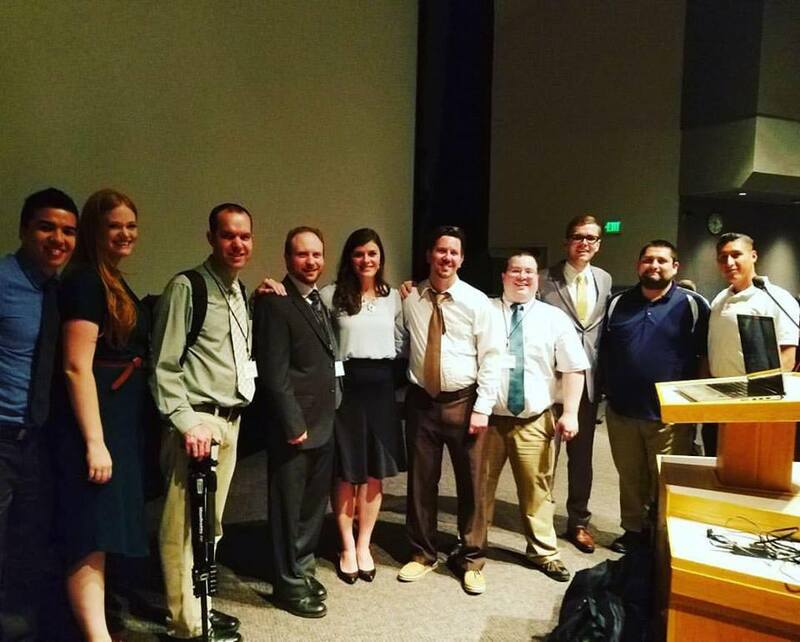 at the FairMormon Conference, August 3, 2017. 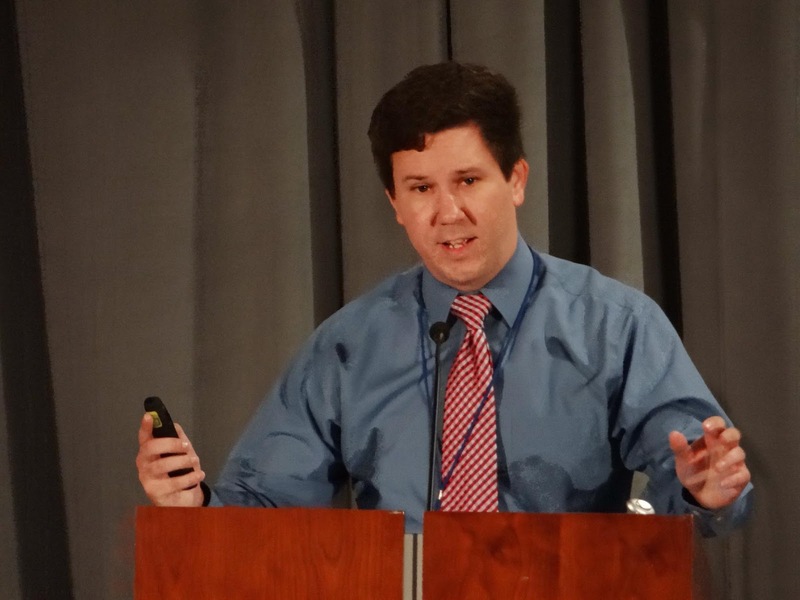 Second, I gave a presentation at the FairMormon Conference on August 3. A wiser man than I would have just used the paper he just wrote for the Kofford book, but I am not a wiser man. I had already submitted a different title to FairMormon, which was being included on the program, and the topic I was planning on speaking on was one I had been kicking around in my head for a long time. I figured this was my opportunity to finally flesh my thoughts out on the subject, so as soon as I finished the Kofford paper, I turned all my free-time to writing up my FairMormon presentation. 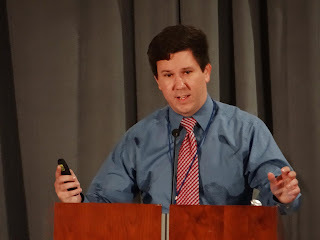 My presentation was titled “‘Put Away Childish Things’: Learning to Read the Book of Mormon with Mature Historical Understanding,” and can be read on the FairMormon website (also in PDF). My main point in the presentation is that just was we all have to grow up and mature in life, so we need to grow up and learn to read scripture with greater maturity. I share some of the things I’ve learned and the benefits I’ve gained as I’ve personally grown-up in my scripture study in the last 8–9 years, despite sometimes going through some growing pains. the Chiasmus Jubilee, August 16, 2017. Finally, I gave a second presentation only about two weeks later, on August 15 at a conference on Chiasmus, held at BYU and sponsored by Book of Mormon Central. This conference featured not only some of the best LDS scholars, but also some top-tier non-LDS scholars, such as Gary Rendsburg and Bernard Levinson. The two-day conference was concluded with a Jubliee session, keynoted by Elder Jeffrey R. Holland, and also including Elder Kim B. Clark and BYU President Kevin J. Worthen. The Jubilee was celebrating the 50-year anniversary of John W. Welch’s discovery of chiasmus in the Book of Mormon on August 16, 1967. Elder Holland talked about the important role of evidence and defending the faith. Sitting on the third row as an apostle of the Lord thanked those like me for all their hard work and dedication in defending the gospel was one of the most validating experiences of my entire life. I’ve gone through considerable personal sacrifice over the last 4–5 years as I’ve striven to use my time and talents to promote the gospel, and in particular the Book of Mormon, and it felt good to hear a thank you extended from an apostle on behalf of all the brethren. 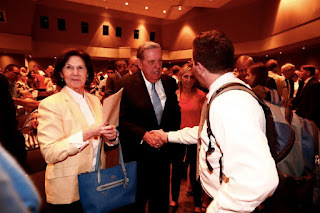 Me, shaking Elder Holland's hand right after the Jubilee concluded. It was one of the highest honors to participate in a conference with such distinguished scholars and an apostle of the Lord. The video of my presentation should be going up on YouTube soon, and I believe there are plans to publish the proceedings of the conference as well. After that, things began to settle down, but I was incredibly busy getting caught up on things at work which had fallen behind, and shortly after that I received a new assignment at work which has been both exciting but also utterly overwhelming. There will be BIG news from Book of Mormon Central in the coming months, I assure you, and everyone at Book of Mormon Central is working insanely hard to make it happen. So anyway, that’s why I didn’t really get any time to blog in July, or August, or September. And given how busy I am with this current Book of Mormon Central project, I can’t guarantee I will be blogging a whole lot for the next few months. But I have announced a new personal project that I’ll be using this blog for, and the first post in that series has already become my most popular blog post of all-time—so there is yet a bright future for this blog, I think. I hope to at least make monthly posts for this new project. Whether I will have the time to make any other contributions here, only time will tell. I do have a few other things I would like to blog on before the end of the year, but I’m not making any promises. As always though, I would just like to thank those who bother to check out what’s going on here on this little, mostly irrelevant, space on the internet, and hope to continue to provide you with interesting content on LDS scholarship and apologetics. Thanks for whipping out the chapter as fast as you did. It's a solid contribution.